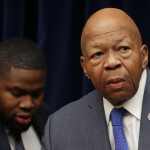 At the end of a daylong House Oversight Committee hearing featuring Michael Cohen, Chairman Elijah Cummings (D-MD) gave an impassioned closing statement thanking Cohen for appearing before the committee and pleading for a return to normalcy in American politics. President Trump is expected to announce an emergency declaration to fund his border wall at 10 a.m. ET in the White House’s Rose Garden. 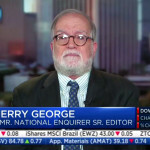 A former senior editor for the National Enquirer said Friday that he believes the tabloid’s story on Amazon CEO Jeff Bezos’ infidelity was a way for the publishing company’s chief executive to make amends with President Trump. The board of American Media Inc., the publisher of the National Enquirer, announced Friday that it will investigate the explosive claims Amazon CEO Jeff Bezos made against the company. Before beginning his State of the Union address Tuesday evening, President Trump appeared to give copies of the speech to House Speaker Nancy Pelosi (D-CA) and Vice President Mike Pence. Pelosi has appeared to read along with the speech at several moments so far. The White House has released excerpts of President Donald Trump’s State of the Union address, as prepared for delivery. 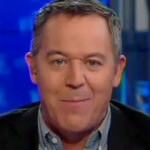 “The agenda I will lay out this evening is not a Republican Agenda or a Democrat Agenda. It is the agenda of the American People,” Trump is expected to say. After Fox News host Dana Perino snapped a pic of her questionable queso on Super Bowl Sunday, more than a few people on Twitter responded with revulsion. 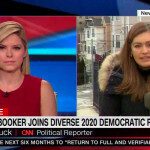 With the Democratic 2020 field becoming increasingly crowded, CNN reporter Rebecca Berg laid out what Sen. Cory Booker (D-NJ) brings to the table. The Democratic senator announced his presidential bid early Friday.